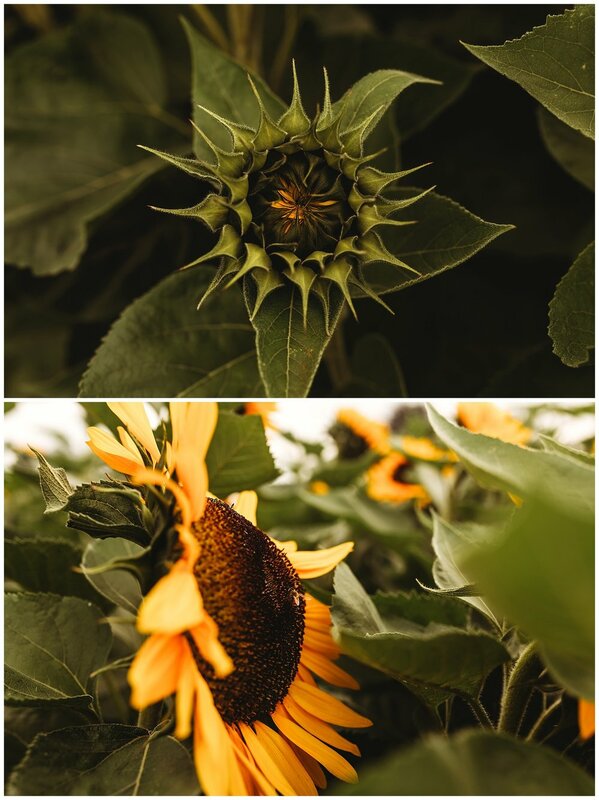 Aren't Sunflowers so beautiful? 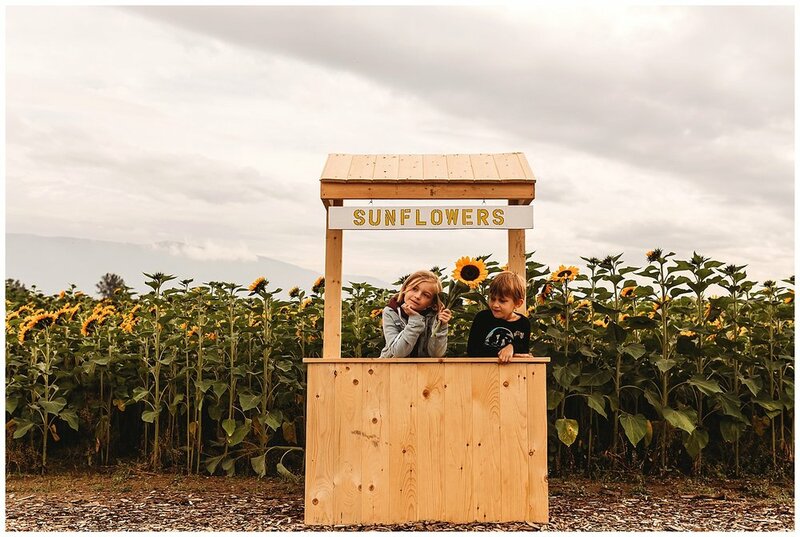 We checked out the Chilliwack Sunflower Festival last week and it was gorgeous. So many sunflowers, big ones, small ones, yellow, red and orange, and even ones with petals that had fallen off, still beautiful. We were waiting for a sunny day with bright blue skies to check them out, but one rainy morning we decided that if the weather perked up we would go check them out before they all wilted. The weather did perk up, so we headed out, rain boots and umbrellas in hand. 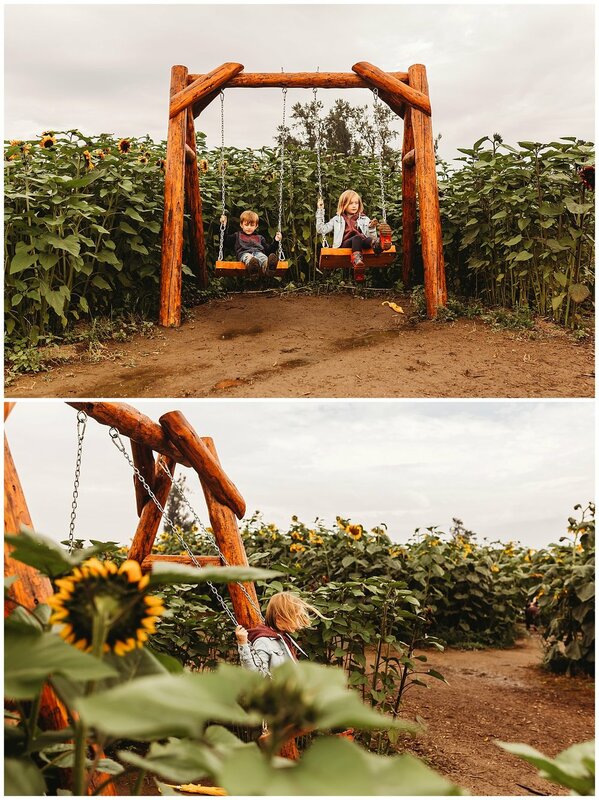 The kids enjoyed exploring through all the aisles of sunflowers, and we spent a good hour and a half wandering around. 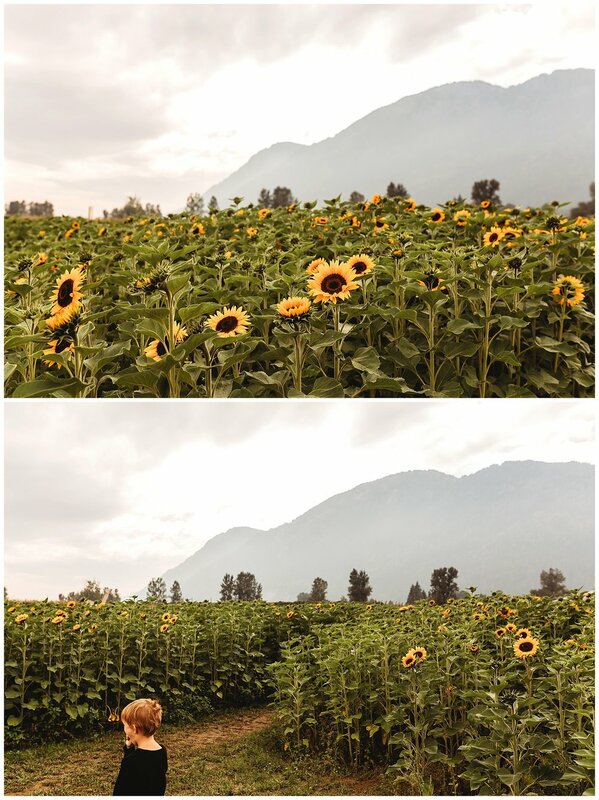 Before we left the kids each picked three sunflowers from the u-pick area. They're actually quite the heavy flower when you have a few together. If you're local to the Chilliwack area, you should go check them out before they close for the season.